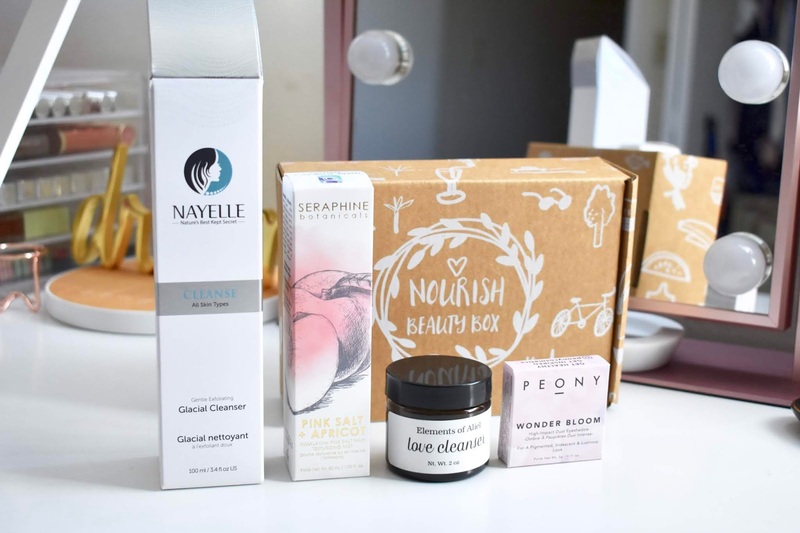 Today I have a look at what is inside this month's Nourish Beauty Box. It is a new year with new beginnings and these products will help you to nourish, cleanse, and have you feeling your very best. There are 4 products this month for face, eyes, body and hair. Pretty much taking care of everything with natural and Paraben-free ingredients. 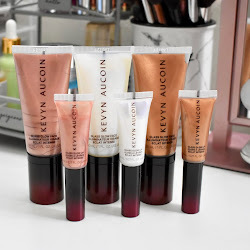 Find out more about these products below. 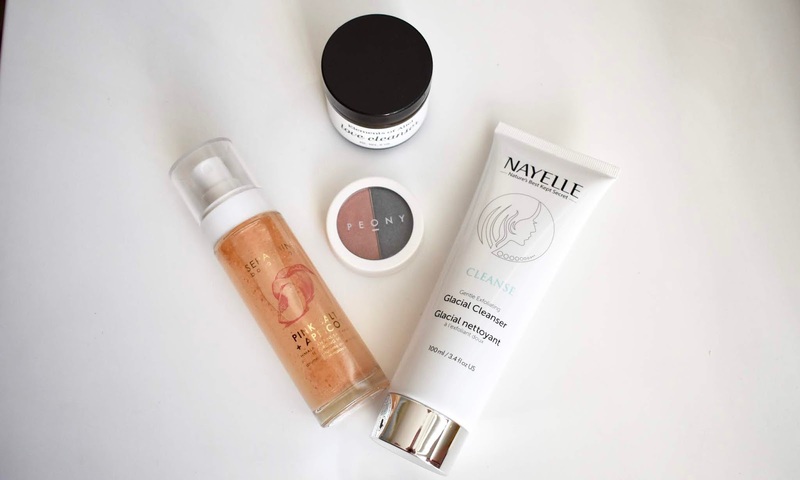 Nayelle Cleanse Facial Wash (Retails for $27) - A daily wash that gently removes makeup while stimulating your skin's circulation. It is good for all skin types and keeps skin looking fresh and feeling soft. Seraphine Botanicals Pink Salt + Apricot (Retails for $22) - This is a hair mist that is able to regulate and texturize untamed tresses. You can spray it on damp or dry hair and style as usual. I have long, wavy hair and I really enjoy this hair mist. It is lightweight and make my hair look shiny and it smells really nice. Peony Cosmetics Wonder Bloom in Blushed Dahlia (Retails for $15) - An eyeshadow duo with 2 shades that compliment each other that can be worn on their own or together. 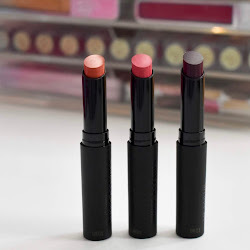 The shades are light and pretty easy to blend. You can use an eyeshadow brush or clean fingers. Elements of Aliel Love Cleanser (Retails for $29) - A body cleanser for those with sensitive skin that you use in the shower to add moisture and vitamins. It is 100% plant based. It is a dark liquid that works best a couple times a week if you have drier skin. 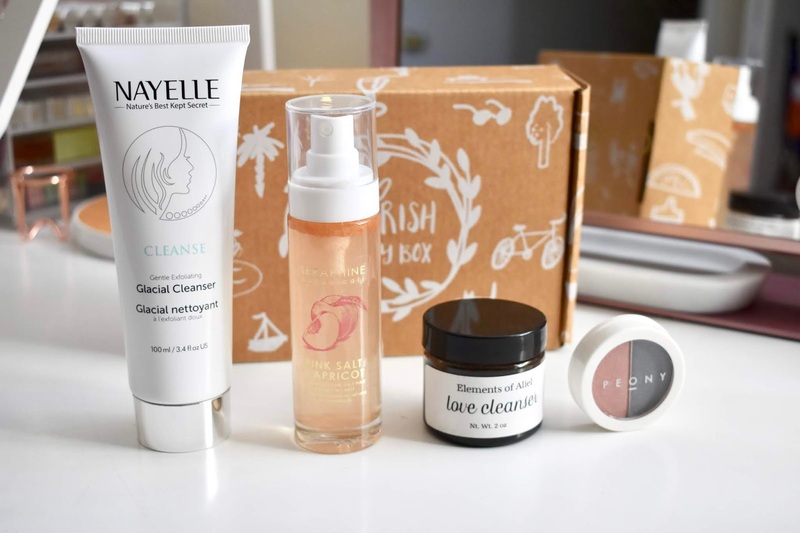 Nourish Beauty Box is a subscription box that features products that are Paraben-free, GMO-free, Vegan, and Cruelty-free. It is $29.95 per month and the value of this month's box is $71.99. 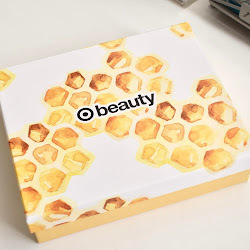 You can also buy any product that has been featured in the box individually. More information can be found HERE. Subscription box was provided for post consideration. All opinions are honest and my own.